A Riotous Dance Battle amidst a theatrical production to the sounds of 70's disco & your favorite Broadway show tunes. 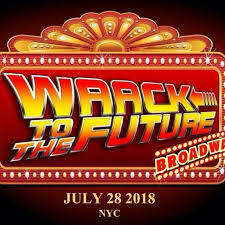 Waack To The Future is a celebration of the re-emergence of the "Gay Club Dance" Waacking. ​This momentous event attracts top international talent to New York City to battle for the championship title. Be wildly entertained by thrilling dance battle's and performances by some of NYC's top choreographers.